Micah Rothstein, M.D., a fellowship trained specialist in glaucoma, is the director of glaucoma services at the Eye Care Center of Northern Colorado. After graduating with a bachelor of science degree in business administration from the University of Arizona – Tucson, he completed his pre-med coursework at the University of Colorado – Denver. Dr. Rothstein received a medical degree from the University of South Carolina and went on to complete his internship at Georgetown University and his residency at George Washington Medical Center, both in Washington, D.C. He received his glaucoma fellowship at the University of Florida – Gainesville. He is a diplomate of the American Board of Ophthalmology and a member of the Association of Cataract and Refractive Surgeons, the American Academy of Ophthalmology and the Association for Research in Vision and Ophthalmology. 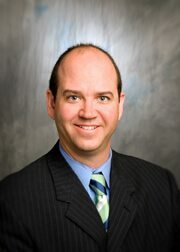 Dr. Rothstein joined the practice in 2005.